Bette has introduced a new size and new options into its innovative BetteComodo bath range – the bath designed to provide the optimum comfort, in a space-saving design. Bette identified all the factors that make a bath comfortable, functional and look good, and created the space-saving BetteComodo bath. 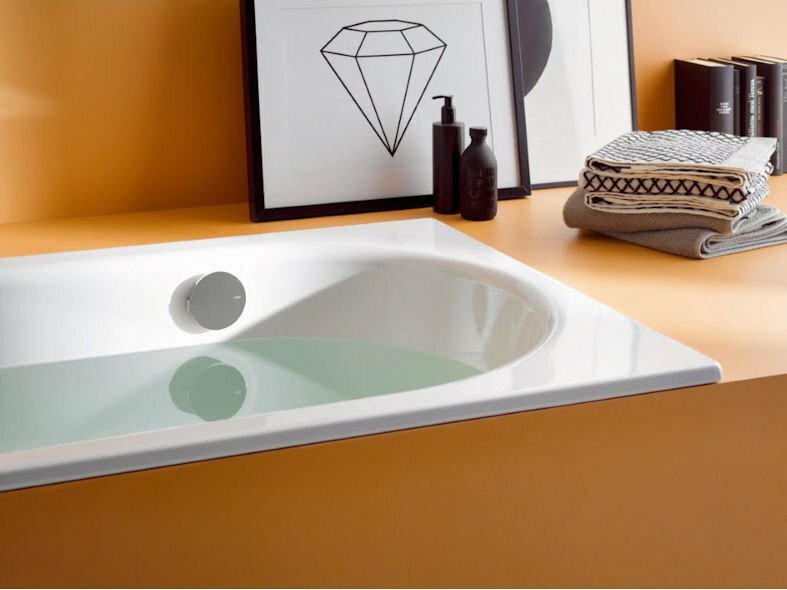 The beautifully shaped BetteComodo is a single-seat bath with an extremely comfortable shape to the back of the bath, a comfortable width that opens out towards the head end and enough depth for the knees not to stick up out of the water. Bette has added a new 170 x 80 x 45 cm bath size to increase the number of size options to four, and has also added a new overflow position option to all of the baths. While the baths can still be ordered with the overflow in the middle at the foot end, there is now also the option to have the overflow along the side, in the area of the foot end, either on the left or right. "For bathroom planners, this means more freedom in design, and gives customers the option of a bath for two," Sven Rensinghoff, marketing director of Bette, explains. The bath, and its matching enamelled steel washbasin, were designed in collaboration with the Tesseraux + Partner design studio in Germany. 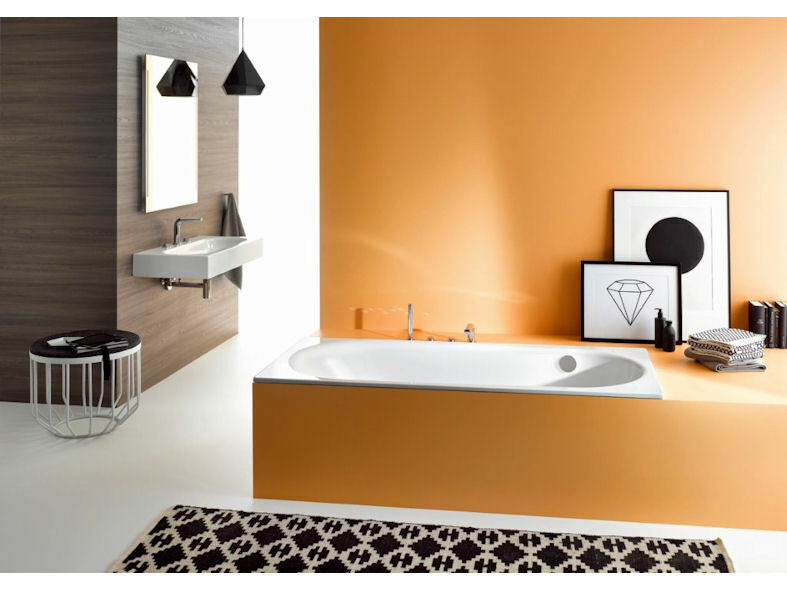 Bette's expertise in the creation of enamelled steel bathroom products is evident in the BetteComodo bath It has an extremely slim rim of only 20 mm, while the corners have a radius of 8 mm - excellent figures for steel/enamel in this class. The washbasins in the collection are just as beautifully made, and can be used either to complement the BetteComodo bath or with any oval bath.